Dewayne Johnson claims Monsanto has known for decades that Roundup is carcinogenic but didn’t disclose it for fear of disrupting its multi-billion dollar global business. SAN FRANCISCO (CN) — Calling Monsanto’s efforts to hide the alleged carcinogenicity of its Roundup weed killer “reprehensible,” attorneys for a school groundskeeper dying of cancer urged a San Francisco judge late Monday to keep intact a $289 million jury verdict for their client. 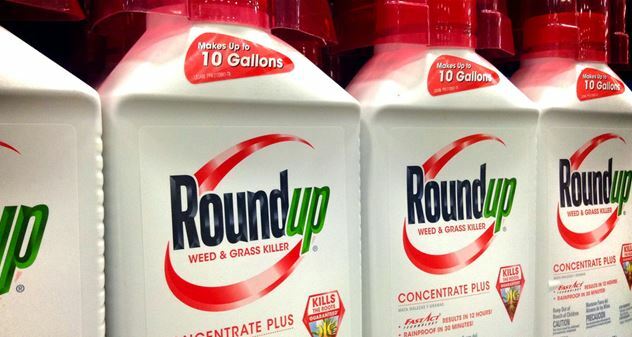 Although a state jury in August unanimously found Roundup caused Johnson’s non-Hodgkin lymphoma, Monsanto asked San Francisco Superior Court Judge Suzanne Ramos Bolanos in September to either overturn the verdict, order a new trial or reduce damages. Monsanto, which German pharmaceutical giant Bayer bought this year for $63 billion, accused another of Johnson’s attorneys of manipulating the jury into awarding excessive damages, despite a purported lack of scientific evidence that Roundup caused his cancer. That attorney, Brent Wisner, with Baum Hedlund Aristei & Goldman, compared Monsanto with tobacco companies, asked the jury to visualize unscrupulous Monsanto executives toasting a small damages award with Champagne, and implored them to “change the world” by awarding punitive damages to deter unethical conduct by Monsanto. Hoke submitted two oppositions Monday: an opposition to Monsanto’s request for a new trial, and an opposition to Monsanto’s motion for judgment notwithstanding the verdict. U.S. and European regulators have concluded that Roundup’s active ingredient glyphosate is safe. But the World Health Organization’s International Agency for Research on Cancer (IARC) classified it in 2015 as a probable human carcinogen, triggering thousands of lawsuits against Monsanto by non-Hodgkin lymphoma sufferers in the United States, including Johnson’s. His attorneys argued during the four-week trial that Monsanto knew for decades that Roundup was carcinogenic but did not include a warning label with the product or instruct users to wear protective clothing for fear of disrupting its roughly $5 billion annual income from the herbicide. Monsanto tried to show that Roundup could not have triggered Johnson’s form of non-Hodgkin lymphoma because cancer takes nearly three years to develop, and Johnson used Roundup for just one summer in his job as a school groundskeeper in Benicia before developing symptoms. “While we are sympathetic to Mr. Johnson and his family, glyphosate is not responsible for his illness, and the verdict in this case should be reversed or set aside,” Bayer said in an emailed statement. “The jury’s decision is wholly at odds with over 40 years of real-world use, an extensive body of scientific data and analysis, including in-depth reviews by regulatory authorities in the U.S. and EU, and approvals in 160 countries, which support the conclusion that glyphosate-based herbicides are safe for use and do not cause cancer in humans. In his brief to the court, Hoke disputed Monsanto’s contention that the company did not get a fair trial due to Wisner’s conduct. Discussing Wisner’s Champagne remark, Hoke said Wisner had merely used “rhetorical language” instead of a direct explanation to explain the concept of punitive damages to the jury. Hoke also rejected Monsanto’s argument that the verdict be overturned because the U.S. Environmental Protection Agency had declared glyphosate safe, saying Monsanto lost a similar argument in pretrial proceedings before San Francisco Superior Court Judge Curtis Karnow. Hoke added that Johnson’s $33 million in compensatory damages and $250 million in punitive damages should not be reduced because Monsanto should be punished for ghostwriting journal articles proclaiming glyphosate safe. Last Wednesday, Sept. 26, the editor of Critical Reviews in Toxicology said the journal was issuing an “Expression of Concern” for a 2016 glyphosate safety review, after internal emails presented during trial showed Monsanto executives edited drafts of the article without disclosing their involvement. The article’s scientific findings remain unchanged. Hoke noted that Bayer is paying Monsanto’s former CEO $32.6 million — roughly the same amount as Johnson’s compensatory damages — to compensate him for the loss of his job in the company’s acquisition by Bayer.